Tim Shaw struggles to speak clearly in the video version of a letter he wrote to his younger self. He pauses in mid-word, his voice cracking as he painfully stumbles from syllable to syllable. In fact, he struggles so much that you often need the subtitles to follow along. But he points out at the beginning that he’s thankful for the struggle. “It makes every word I say more purposeful,” he says. In that brief, stuttered sentence, Shaw references two of the traits that most accurately define him – thankful and purposeful. And I think we all can learn from the strong circular connection between those two words. He is thankful because he approaches life (and words) with a purpose, and he finds purpose by focusing on the things for which he is thankful. 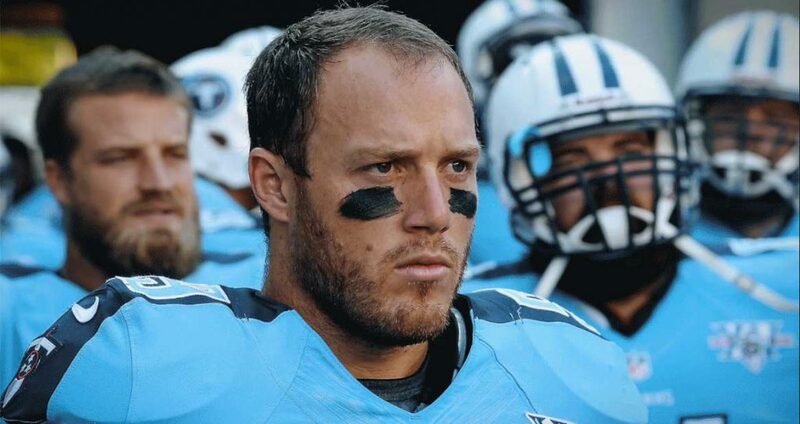 Five years after being diagnosed with ALS at age 29, former @Titans special teams captain @TShawsTruth encourages his younger self to "live your best life today and enjoy every little blessing." There was a time when Shaw’s purpose and his reasons for gratitude were crystal clear to anyone who had followed his story. It’s a long way from Exeter, England to the NFL, but Shaw had made that journey. He moved from the UK to the United States when he was just 2 years old, and he eventually became a star running back at Livonia Clarenceville, Mich. He switched to linebacker after his freshman year at Penn State, and he was a three-year starter from 2004-06 and an academic All-American as a senior. Then he spent seven years in the NFL. The three letters Shaw refuses to let define him now are ALS. He was diagnosed with the debilitating disease when he was 29, less than a month after he was cut by the Tennessee Titans. Now he lives in Nashville with his parents and counts on them for almost all of his daily needs. His opportunities to live with purpose and his reasons to give thanks easily might have been shattered the day the doctor delivered the life-changing news that he has ALS if, in fact, he allowed himself to be defined by those three letters. Shaw was known for his faith and his perseverance as a player. He was a talented athlete, but not as elite as many of his peers. Hard work and a positive attitude allowed him to thrive at Penn State and to play mostly on special teams in the NFL. And while the body on his 6-foot-1 frame looks vastly different now than in his playing days, he keeps pushing forward with purpose and he keeps giving thanks. Shaw might have trouble standing or sitting without falling, but he’s on solid footing when it comes to living with purpose and gratitude. In the years since his diagnosis, he’s completed his master’s in business administration, bought into business ventures (including a kick boxing gym and a music venue), written a book (Blitz Your Life), gone on mission trips, championed research for the disease that’s afflicted him, and spoken words of encouragement and inspiration to audiences large and small. When I heard those purposeful words, and when I read back over them, I heard the voice of a man who isn’t defined by the circumstances of his life. He knows that if you are purposeful and thankful when things are going well, it’s far easier to live that way when things get tough. And if you can live that way when things get tough, your life will always have purpose and you’ll always have reasons to give thanks. Wow, It does make you think about how we sometimes dwell on the little things that we think define us ! Especially our past! It’s all about attitude of what each of us is given. I loved this story. What an amazing story. It is HIStory. To not be defined by your work, your neighbors, your friends your title, is an amazing and glorifying thing. Tim shows the best that IS in Jesus.